From now until Feb. 3, art lovers will want to see the artwork of Pam Flanders at the Hope Art Alcoves at the Hope United Church of Christ, 141 S. 12th Ave., Sturgeon Bay. In 1998, with the support of her family, Flanders left a nursing career to pursue a lifelong dream of being an artist. 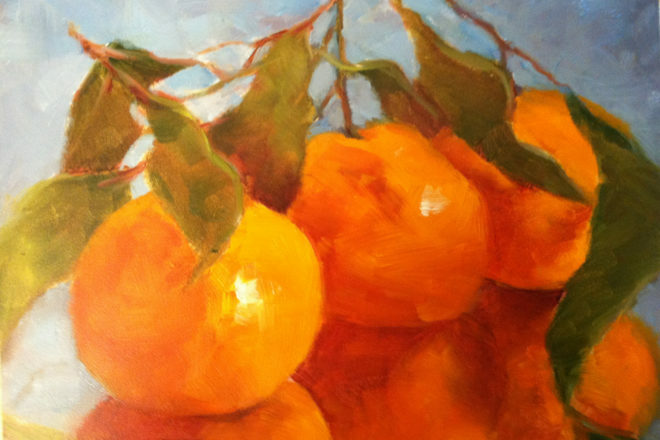 Years of sketching and drawing naturally led to her interest in painting. In 1991, she took her first oil-painting class and was immediately hooked. As a professional artist, Flanders continues to paint primarily in oil, which allows for fluid motions on the canvas. She especially enjoys painting en plein air. She is inspired by the contrast of light and dark patterns, cool and warm colors, and a focus on the play of light and shadow in the landscape. See more works, or contact the artist at pamflanders.com. The Hope Art Alcoves is open 9 am – 1 pm Monday through Friday and 11:30 am – 12:30 pm Sunday. For more information, call 920.743.2701.